Searing: Seals in the juices and adds flavor before roasting. It also adds a nice golden brown color to a roast that might not color so nicely on its own in the oven. 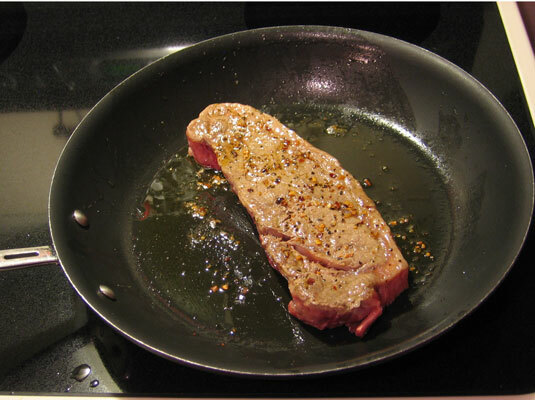 The added flavor of oil used in searing can also enhance the flavor of the roasted meat. Basting: Helps to color a roast evenly and keep the surface moist, and can be a good way to add flavor to the outer surface of a roast if you decide not to sear it first. The juices don’t penetrate to the inside of the roast, though. Basting is purely for the benefit of the roast’s surface. 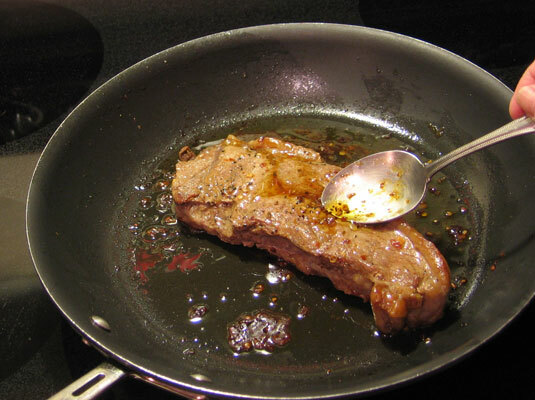 To baste, use a large spoon, bulb baster, or basting brush to coat the roast’s surface with the pan juices or oil. Baste the meat every 15 to 30 minutes throughout the roasting process.